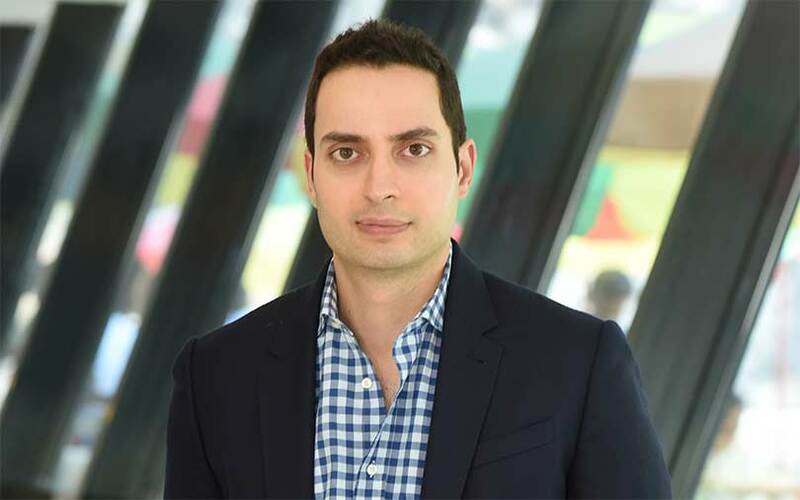 Jason Kothari has quit as the chief strategy and investment officer of online retailer Snapdeal and is joining Infibeam Incorporation Ltd.
Infibeam Incorporation Ltd is the operator of India's only listed e-commerce firm, Infibeam, and parent of payment gateway company CCAvenue. Infibeam said in a stock exchange filing on Wednesday that it has appointed Kothari as president of international operations and investment officer in charge of corporate strategy and relationships. At Infibeam, he will help drive the company's next phase of growth with the leadership team, the company said. He will also help Infibeam meet its global plan and drive the next era in the company's evolution, it said, without elaborating. Thursday marked Kothari’s last day at Snapdeal. Kothari was hired by Snapdeal in January 2017 to lead its strategy and fundraising functions. He was actively involved in building the new inventory-free pure e-commerce model that Snapdeal adopted after walking out of merger talks with Flipkart. Earlier, Kothari was heading Snapdeal’s payments arm FreeCharge prior to its sale to Axis Bank. Besides the FreeCharge sale, Kothari also led the sale of Snapdeal’s logistics unit Vulcan Express to Future Supply Chain. Last month, Infibeam said it would acquire Unicommerce, the technology solutions arm of Snapdeal. Kothari, a Wharton graduate, had worked for many years in the US where he led Valiant Entertainment as the CEO and made a number of angel investments there. In February this year, he made a personal investment in ItsByU, a flower e-commerce company in the US. He had earlier invested in Throwingfruit, a video marketing and distribution platform. Earlier, he had exited Dealflicks, a platform for discounted movie tickets and concessions, which was backed by 500 Startups and Warner Brothers, among others. Snapdeal has seen several board-level changes over the past year. Vani Kola, founder and managing director at Kalaari Capital, one of its early investors, resigned in May last year. At its peak, Snapdeal was valued at more than $6 billion and was considered to be a close competitor to Flipkart. Since 2015, however, it has lost second position to Amazon and has consistently been losing market share. The firm has been hiving off its various acquisitions, divesting assets and reducing headcount to cut costs even as it struggles to compete with other second tier e-commerce companies like ShopClues and Paytm Mall. In April, Jasper Infotech Pvt. Ltd, which runs online marketplace Snapdeal, reported a drop in consolidated net sales for the first time in five years in yet another indication that the e-commerce firm is wilting in the face of intense competition from rivals. However, the e-tailer has failed to raise any fresh funding after its biggest shareholder, SoftBank, declined to invest in the firm and went on to fund Flipkart. In May last year, SoftBank Group had reported a valuation loss of $1.4 billion on its two flagship investments in India, cab-hailing app Ola and Snapdeal. Earlier this year, FIH Mobile Ltd, a subsidiary of Taipei-headquartered Foxconn Technology Group, said it had written down the remaining $40 million of its $200 million investment in Snapdeal. Global e-commerce firm eBay Inc. had also written down its investment in the e-tailer. Infibeam was founded in 2010 by former Amazon executive Vishal Mehta and operates a horizontal e-commerce platform. It was one of the youngest companies to list on the National Stock Exchange when it floated its initial public offering in March 2016. Infibeam Incorporation Ltd posted a consolidated profit after tax of Rs 20.8 crore in the last quarter of the financial year 2017-18, up from Rs 13.6 crore in the year-ago period. For the first time, its e-commerce segment broke even. In February last year, Infibeam had acquired Avenues India, which runs payment gateway CC Avenue, for around Rs 2,000 crore. In May, Ahmedabad-based Infibeam acquired 100% stake in Vavian International, a digital payments processing company which has operations in the Middle East. The deal was valued at around AED 4.32 million (Rs 8 crore or $1.17 million). In February, billionaire Mukesh Ambani-controlled TV18 Broadcast Ltd announced that it would invest up to Rs 40 crore ($6.23 million) in Infibeam. The transaction appeared to be an ad-for-equity-style investment. Infibeam Incorporation is also the parent of e-commerce enabler BuildaBazaar.